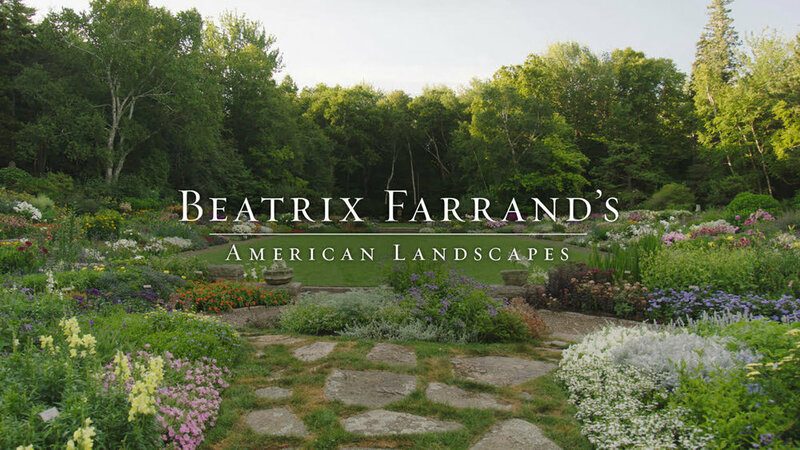 A new documentary produced by the Beatrix Farrand Garden Association and directed by Stephen Ives, Beatrix Farrand’s American Landscapes, follows award-winning public garden designer Lynden B. Miller as she sets off to explore the remarkable life and career of America’s first female landscape architect—Beatrix Farrand. Farrand was responsible for some of the most celebrated gardens in the United States and helped create a distinctive American voice in landscape architecture. Although she created gardens for the rich and powerful, including John D. Rockefeller, Jr., J.P. Morgan, and President Woodrow Wilson, she also was an early advocate for the value of public gardens and believed strongly in the power of the natural world to make people’s lives better. Through the documentary, Miller journeys to iconic Farrand gardens, engaging designers, scholars and horticulturists in a spirited dialogue about the meaning and importance of this ground-breaking early 20th-century woman. Lynden Miller’s experience as New York City’s most prominent public garden designer is woven into a wide-ranging biography of Farrand’s life and times.